(CBSSports.com) — Man, all we do is talk about the good teams, so let’s change that. SportsLine right now projects the Orioles to win just 56 games this season, which means they’d edge the Royals (see below!) for the top overall pick of the 2019 draft. So that’s something. Also, Manny Machado is thus enjoying his best season. At this writing, he owns an OPS+ of 163 with 18 homers and 15 doubles, and he’s of course successfully transitioned back to shortstop. 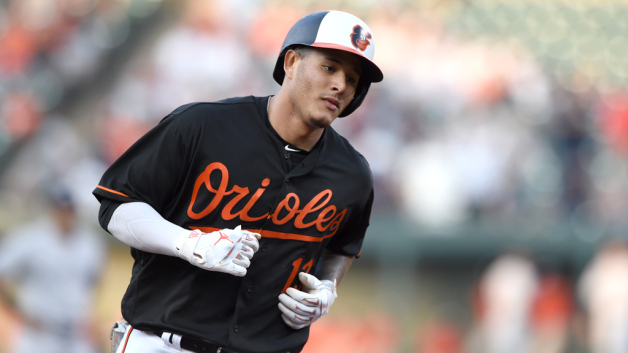 This is notable because Machado is in his walk year, and, given the hopeless state of the O’s, he seems likely to be dealt before the July 31 non-waiver trade deadline. As we’ve seen in the case of Aroldis Chapman and the swap that sent him from the Yankees to the Cubs in 2016, deadline deals involving pending free agents can still land quite a haul for the team shipping him off. Elsewhere, 25-year-old righty Dylan Bundy has shown good skills growth at the command-and-control level. Shortstop Tim Anderson, who’s still just 25, is having his best season at the plate. Future star Yoan Moncada has flashed signs of his immense potential, Reynaldo Lopez has kept runs off the board, and Carlos Rodon recently returned to the rotation after undergoing shoulder surgery. Down on the farm, Eloy Jimenez is dominating Double-A, and Michael Kopech continues to put up obscene strikeout numbers. The Sox recently added infielder Nick Madrigal as the No. 4 overall pick in the draft, and right now they’re very much on target for another top-five overall pick in 2019. Top prospect Nick Senzel should hit the majors for good at some point this season, and 18-year-old Hunter Greene, despite some early struggles, remains an elite prospect. Florida’s Jonathan India went No. 5 to the Reds earlier this month, and they’re, of course, in line for another pick near the top in 2019. 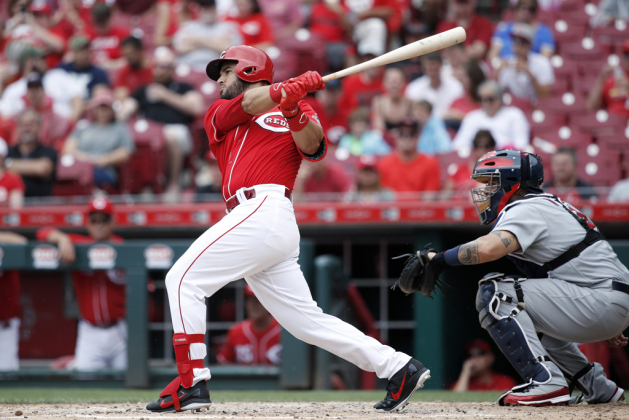 Eugenio Suarez, age 26, is hitting like an All-Star, and Scooter Gennett could get the Reds a nice return if they decide to move him prior to the non-waiver deadline. As well, young-ish relievers Raisel Iglesias, Michael Lorenzen, and Amir Garrett have all been outstanding. Twenty-four-year-old Jaimer Candelario continues to rake on Detroit’s watch, and this year he’s doing it in ways that suggest it might be sustainable. While Michael Fulmer isn’t quite pitching at a vintage level, he’s still a young and controllable starting pitcher. If they decide to deal him, he could net the Tigers a nice return. Of course, the Tigers are fresh off plucking Auburn right-hander Casey Mize with the top overall pick. He immediately becomes the Tigers’ best prospect, and it’s not a close call. Throw in Alex Faedo, Franklin, Perez, Matt Manning, and Beau Burrows, and Detroit really has the makings of a standing rotation in the future. While they’ve hovered within spitting distance of the .500 mark thus far in 2018, SportsLine tabs them for just 69 wins — nice for these purposes — and that will fetch them a high pick. They’ll get the No. 8 overall selection in 2019 if these projections hold. The Royals have famously put off rebuilding for some time, but now the process has been foisted upon them. They’ll be in the mix for the top overall pick next year, and leading up to the deadline, names like Mike Moustakas and Kelvin Herrera could be flipped in exchange for some much-needed young talent. 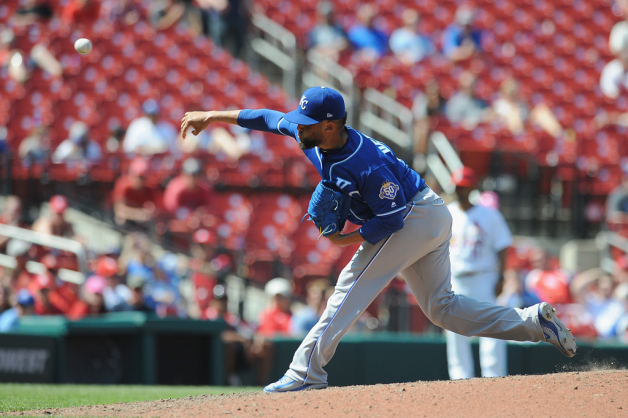 If Danny Duffy can engineer a rebound leading up to July 31, then he, too, could be potential trade chit. As for the recently completed draft, the Royals enjoyed a bit of a coup, as Florida right-hander Brady Singer slipped to them at No. 18. At various points in the year, Singer was in the mix for top overall pick, so that’s a nice get for KC. Obviously, they figure to be in the mix for the top overall pick in 2019. While the Marlins certainly did not, at first blush, get good value out of their winter sell-off, it wasn’t a complete disaster. Coming into the season, the Marlins boasted six prospects that were ranked in the top 100 by at least one of the three major outlets. They added prep outfielder Connor Scott in the most recent draft, and SportsLine right now has them tabbed for the third overall pick in 2019. As well, catcher J.T. Realmuto is raking, and if they decide to trade one of baseball’s best catchers either during the season or next winter, they can bank on an impressive return. The Padres already have one of the top farm systems in baseball, and via the recently completed draft they just added perhaps the top prep arm available (Tennessee lefty Ryan Weathers) to the fold. Top prospect Fernando Tatis Jr. is thriving at Double-A as a 19-year-old, and he could be the favorite to be the consensus top overall prospect in baseball heading into 2019. 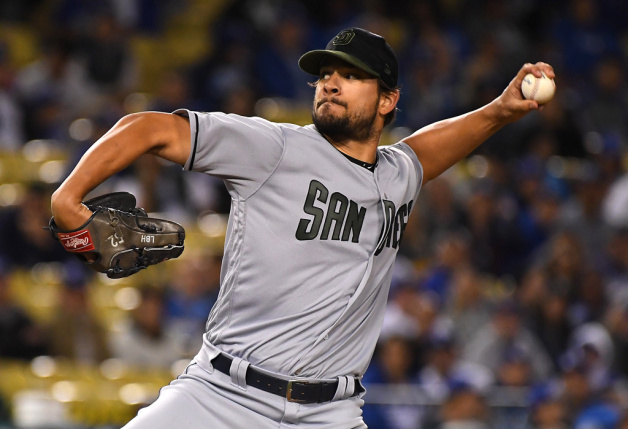 If they decide to move reliever Brad Hand, he’ll exact a nice cost in trade. The Pads figure to pick in the top half of the first round in 2019. And speaking of 2019, they should be ready to contend by then. First and foremost, 25-year-old lefty Blake Snell, not so long ago one of the top pitching prospects in baseball, has leveled up this season and is looking like a present and future ace. Twenty-four-year-old infielder Daniel Robertson is looking like a useful long-term contributor, and bear in mind that the Rays could still be a major presence at the deadline with heavily rumored names like Chris Archer and Kevin Kiermaier still on the roster (assuming the latter gets and stays healthy). This is all on top of what’s already one of the top farm systems in the game right now. 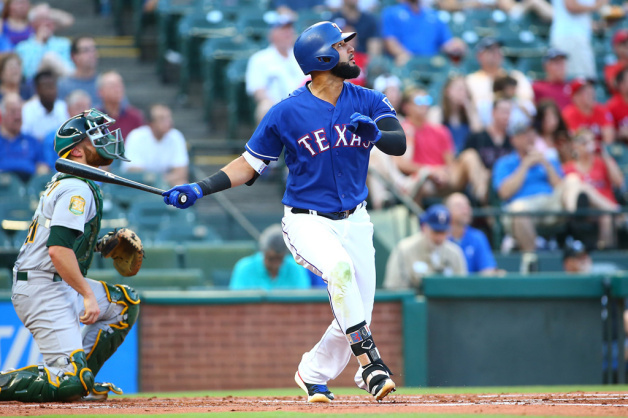 Nomar Mazara and Joey Gallo have shown positives this season (Mazara more so than Gallo), and they entered the season with a handful of top-100 prospects. They added to their pitching ranks by taking prep right-handers Cole Winn and Owen White in the most recent draft. White, in particular, may turn out to be a steal in the second round. It’s increasingly looking like the Rangers will shop veteran lefty Cole Hamels leading up to the deadline, and doing that could infuse the system with some needed young talent. As for 2019, they’ve got a shot to pick in the top five for just the second time since 2001. Vladimir Guerrero Jr. — current knee injury notwithstanding — is looking like a future MVP candidate, and given a normal recovery, he figures to hit Toronto for good at some point this season. Fellow prospect Bo Bichette also looks like a future difference-maker at the highest level. Aaron Sanchez and Marcus Stroman are still young enough to have long-term value to the franchise, and there’s the hope that Josh Donaldson gets healthy and hitting soon enough to be a trade candidate in his walk year. They’re also in line for a top-10 pick next year. And that’s that. At this point you might be wondering where the drain-circling Mets are. Right now, SportsLine gives them a robust 1.9 percent chance of making the postseason, so they just barely missed the cut. Congratulations? So, fans of the teams above, feel better? Of course not. Of course you don’t.